A Window Opens is a stellar example of what can be done with a genre novel, a model of the “working mom” genre. While it will never be viewed as classic literature, Elisabeth Egan makes good use of many of great literature’s important elements. There is a search for identity, fully-formed characters, and themes of the struggles of working parents explored with humor and depth. When Alice’s husband Nicholas doesn’t make partner at his law firm, he decides to hang his own shingle. To earn more money, Alice leaves her comfortable part-time job as the books review editor at You magazine to take a job in the city at a start-up company, Scroll, “the Starbucks of bookstores.” No carbon-based books here. Alice is concurrently dealing with her father’s decline. He’s been a loving, energetic part of the family, and she is forced to choose between making her new bosses happy and spending time with her parents during difficult circumstances. Nicholas is struggling to establish his business, and he and Alice are at loggerheads as she tries to balance blame, guilt, and frustration. The downward arc of the fancy new job becomes quickly apparent, as the trendy and freewheeling atmosphere at Scroll turns out to be a façade hiding a domineering corporate culture. Alice’s best friend, Susanna, owns an independent bookstore and is displeased with Alice’s traitorous decision to work for Scroll. The kids are angry with Alice for not being available, even though they have an amazing nanny, Jessie, who helps with their homework, remembers to buy dog food, and is cheerful, young, and in a rock band. Alice measures herself against everyone else — her old and new colleagues, her parents, Susanna, Jessie, Nicholas — and tries to figure out who she is. Is she a mom? A worker? A daughter? How can she fit them all in? With its chatty tone, and humorous take on parenting, A Window Opens is a fun book for the beach or the train. 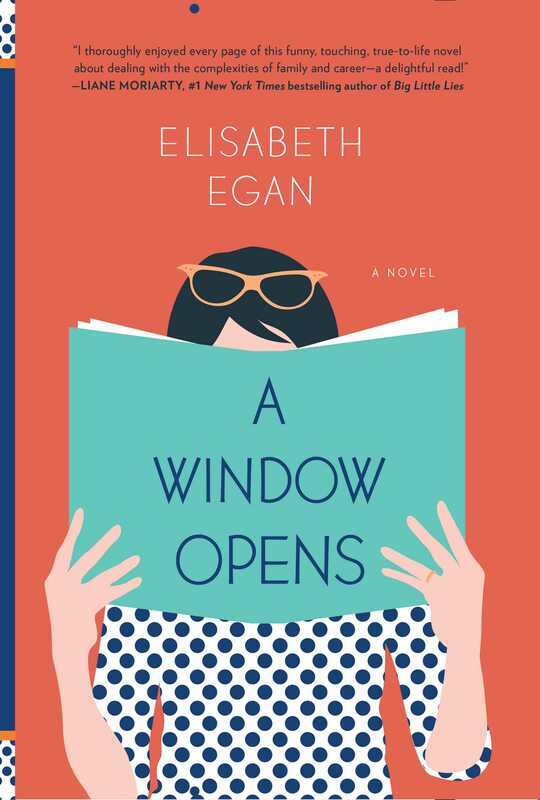 Egan paints a warm, familiar picture of middle class, white America in which relationships matter, and the characters are all joined in a struggle to define themselves while balancing busy, complex, modern lives. Jessica Gribble is an acquisitions editor at an academic book publishing company in Colorado. When she’s not editing, she runs, bikes, camps, and hangs out with her husband and two young kids. In the occasional minute or two left over, she rides her Honda Shadow, roots for the Cleveland Browns, and reads books in the bathtub.